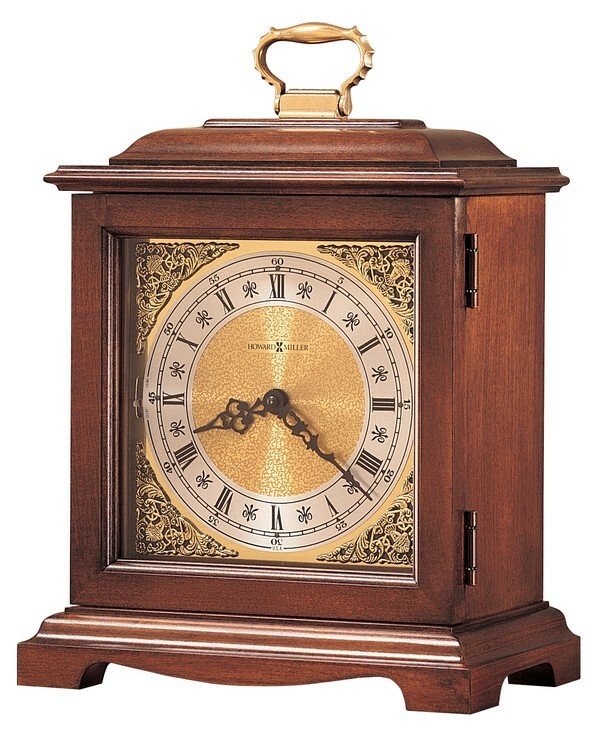 Classic bracket-style Howard Miller mantel clock features Windsor Cherry finish on select hardwoods and veneers. Brass-finished dial offers a silver chapter ring and decorative corner spandrels. Quartz, dual-chime movement plays Westminster or Ave Maria chimes, with volume control and automatic nighttime chime shut-off option and durable bronze bushings. Requires 2 C batteries (not included). Made in the USA.